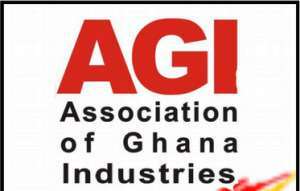 The Association of Ghana Industries (AGI) Volta/Eastern branch in partnership with the Ghana Journalists Association (GJA) Volta, is organising the first business breakfast meeting in the Region in Ho. The meeting, scheduled for February 21, is to take advantage of business opportunities in the 2018 national budget statement. The meeting, laced with several business sessions, matchmaking and networking opportunities will attract people from the academia, policy makers, small and medium scale enterprises and students. Mr Dela Gadzanku, Chairman, AGI, Volta Eastern said the session would help find solutions to myriad of challenges facing industries in the Region. 'This is not the usual talk shop sittings. No business as usual. We are coming out with a resolution. Road-map to revive local industries here, create jobs and grow the local economy,' he told the GNA. He said attention would be given to tariff issues, government's one district, one factory policy and the state of industries in the region. The Volta Regional branch of the Ghana Journalists Association recently toured some distressed but viable industries in the region and presented a report to the Regional Minister and the Regional Economic Planning Team for attention. The Association expressed concern about the state of the Ho light industrial area, taken over by churches and charged stakeholders to address the anomaly.